Wesleyan faculty frequently publish articles based on their scholarship in The Conversation US, a nonprofit news organization with the tagline, “Academic rigor, journalistic flair.” In a new article, Associate Professor of History Victoria Smolkin explains the historical context and significance today of a centuries-old religious dispute over Ukraine’s Orthodox Church. 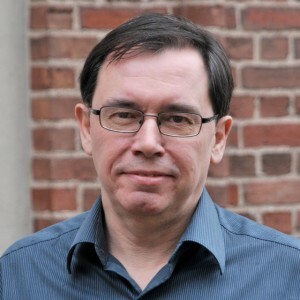 Smolkin is also associate professor, Russian, Eastern European, and Eurasian Studies, and a tutor in the College of Social Studies. A new Orthodox Church was recently established in Ukraine. Shortly after, Bartholomew I, the Patriarch of Constantinople and the spiritual head of global Orthodox Christianity, granted independence to the new Orthodox Church of Ukraine and transferred its jurisdiction from the church of Moscow to the church of Constantinople, located in Istanbul. This competition between the churches of Constantinople and Moscow for dominance in the Orthodox Christian world is not new – it goes back more than 500 years. But the birth of the new Orthodox Church in Ukraine opens a new chapter in this history. So what is Ukraine’s new church, and how will it change the global political and religious landscape? On Nov. 11, Victoria Smolkin, associate professor of history and Russian, Eastern European, and Eurasian studies, joined forces with her brother, artist Vlad Smolkin, to share their work with the public at a new and revamped Main Street Gallery Art Opening/Books & Bagels Talk at Congregation Beth Shalom Rodfe Zedek in Chester, Conn.
Smolkin is the author of a new book, A Sacred Space Is Never Empty: A History of Soviet Atheism, published by Princeton University Press in 2018. A scholar of Communism, the Cold War, and atheism and religion in Russia and the former Soviet Union, Smolkin’s expertise also covers religious politics and secularism and the Soviet space program. 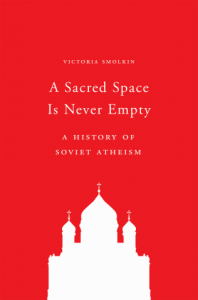 In A Sacred Space Is Never Empty, Smolkin explores the meaning of atheism for religious life, for Communist ideology, and for Soviet politics. When the Bolsheviks set out to build a new world in the wake of the Russian Revolution, they expected religion to die off. Soviet power used a variety of tools—from education to propaganda to terror—to turn its vision of a Communist world without religion into reality. Yet even with its monopoly on ideology and power, the Soviet Communist Party never succeeded in creating an atheist society. The book presents the first history of Soviet atheism from the 1917 revolution to the dissolution of the Soviet Union in 1991. Drawing on a wealth of archival material and in-depth interviews with those who were on the front lines of Communist ideological campaigns, Smolkin argues that to understand the Soviet experiment, we must make sense of Soviet atheism. Smolkin shows how atheism was reimagined as an alternative cosmology with its own set of positive beliefs, practices, and spiritual commitments. Through its engagements with religion, the Soviet leadership realized that removing religion from the “sacred spaces” of Soviet life was not enough. Then, in the final years of the Soviet experiment, Mikhail Gorbachev—in a stunning and unexpected reversal—abandoned atheism and reintroduced religion into Soviet public life. 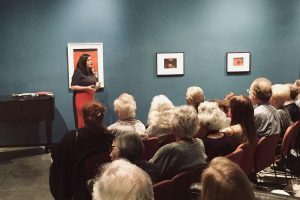 Victoria Smolkin discusses her new book at the art exhibition. During the event, Victoria discussed her new book while Vlad debuted his art exhibition, Light Beams. The Smolkins were born in the Soviet Union and moved to the United States and at a young age; through their experiences, each sibling found a distinct way to explore, highlight, and celebrate their heritage. Like Victoria’s book, Vlad’s art also showcases the themes of religion and outer space. His exhibition envisions how Judaism might exist on other planets. 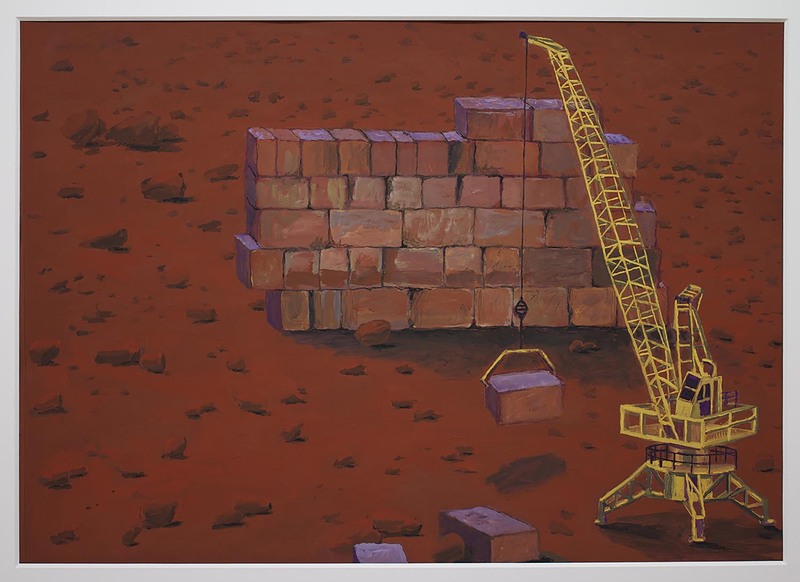 In his work, he looks at how the Western Wall might be transferred to Mars, and how the cultivation of flowers on Mars might be the last vestige of Jewish humanity. Light Beams by Vlad Smolkin can be viewed from 10 a.m. to 3 p.m., Monday through Friday during December and the first three weeks of January 2019. “Transfer of the Western Wall” (2018) by Vlad Smolkin. An open online course by Gordon Career Center Director Sharon Belden Castonguay, which helps young people explore their interests and career options, is featured. 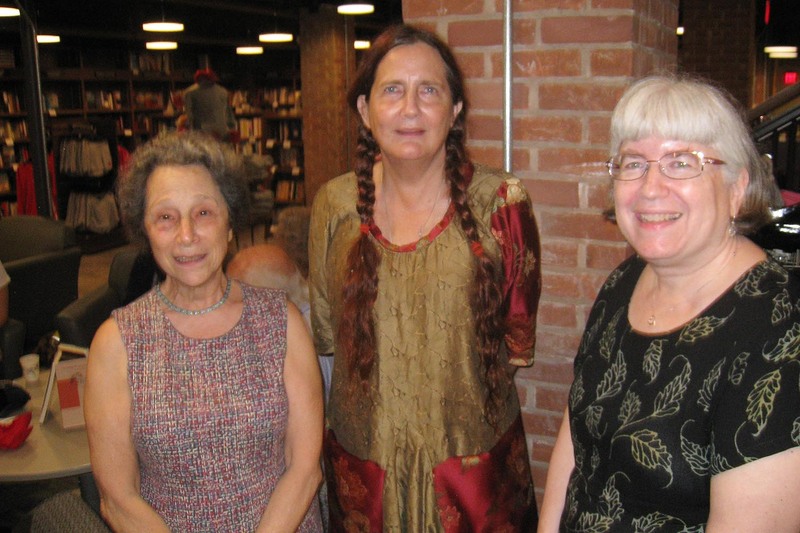 Two faculty and an alumna celebrated the publication of their new books during a gathering Oct. 11 at the Wesleyan RJ Julia Bookstore. All three books focus on Russian literature and culture. Professor of English, Emerita Phyllis Rose’s 1983 book Parallel Lives: Five Victorian Marriages, is featured in the New York Times Magazine. The book, which the reviewer notes she has re-read every few months recently, is a “group biography of several notable Victorians and their marriages,” through which the reader can gain deeper insight into intimate relationships and societal change. Noah Baerman, director of the Wesleyan Jazz Ensemble, received the inaugural Guilford Foundation/Guilford Performing Arts Festival Artists’ Award at a ceremony on Sept. 29. 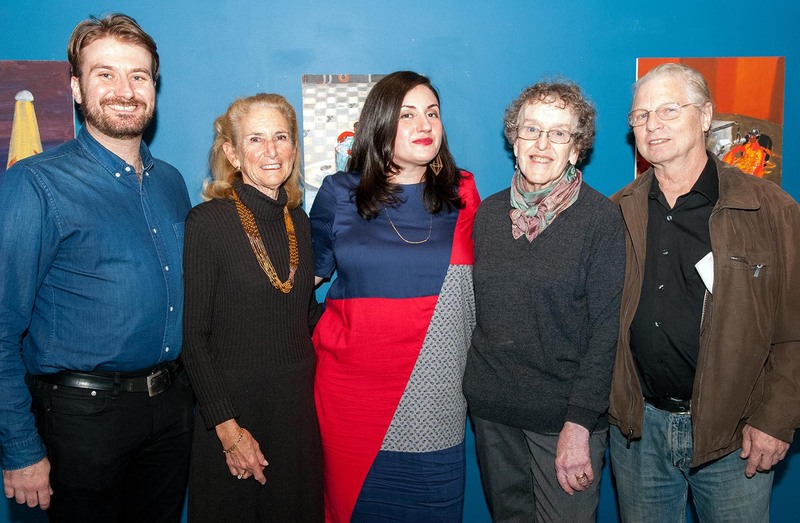 The award was created this year to encourage the development of new work by professional Connecticut artists and to provide a vehicle for the debut of original material at the festival. The first-ever Wesleyan Center for Prison Education Program graduation ceremonies, held in partnership with Middlesex Community College at York and Cheshire correctional institutions on July 24 and Aug. 1, respectively, was also featured in The Washington Post, ABC News, Fox News, among other publications. Rutland in The Conversation: One Likely Winner of the World Cup? Putin. Wesleyan faculty frequently publish articles based on their scholarship in The Conversation US, a nonprofit news organization with the tagline, “Academic rigor, journalistic flair.” In a new article, Peter Rutland, the Colin and Nancy Campbell Professor in Global Issues and Democratic Thought, writes about the FIFA World Cup being hosted by Russia. Though Russia’s team is not expected to perform very well, he writes, leader Vladimir Putin understands the power of sports to “foment feelings of national pride” and boost his own popularity among the Russian people. 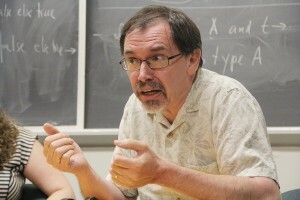 Rutland is also professor of government; professor of Russian, Eastern European, and Eurasian studies; tutor in the College of Social Studies; and director of the Allbritton Center for the Study of Public Life. Half a million soccer fans will head to Russia to watch their national teams compete in the FIFA World Cup. Billions more around the world will watch on television. Brazil and Germany are favorites to win the trophy. But we already know one person who will emerge as a winner: Vladimir Putin. No one is expecting the Russian team to do very well in the tournament. FIFA’s official rankings place Russia 70th in the world – the team’s worst ever rating, and a precipitous fall from the 24th place it enjoyed as recently as 2015. Soccer is nevertheless a popular spectator sport in Russia, where sport and nationalism are closely intertwined. As editor of Nationalities Papers, the journal of the Association for Study of Nationalities, I find that our most-read articles are often those involving soccer, a sport that can serve as a focal point for nationalist mobilization. Putin seems to understand the ability of sport to foment feelings of national pride – and, in turn, has repeatedly used sporting events to enhance his popular standing at home. In 2010 Moscow won its bid to host the 2018 Cup, a successful pitch that was very much Putin’s personal project. He even traveled to Zurich and gave an emotional speech thanking FIFA for the honor. A few years later, corruption scandals brought down most of the FIFA board that had made this decision. But by then, the decision had been finalized: Putin was set to be the first autocrat to host the World Cup since Argentina’s military junta in 1978. Of course, this was before Putin’s controversial return to the presidency in 2012, and before the annexation of Crimea in 2014. Now, as the World Cup begins, Russia’s standing in the world is at an all-time low. Colin and Nancy Campbell Professor in Global Issues and Democratic Thought Peter Rutland was invited to speak at a forum held in Moscow this past week. Peter Rutland, the Colin and Nancy Campbell Professor in Global Issues and Democratic Thought, recently spoke on a panel of political economy experts at The Gaidar Forum 2018, held at the Presidential Academy of Economics and Public Administration in Moscow. Russian Prime Minister Dmitry Medvedev gave the keynote address at the forum. “How can Russia get onto a more knowledge-intensive, non–resource-based economic sustainable growth path? How can it escape from the middle income trap?” asks Rutland in his talk. “You could look across the continent to China,” which has been amazingly successful in recent years, he says. Russian companies do not invest at the same level as their rivals in other countries, Rutland argues, citing weak property rights, excessive role of the state and weak competition as critical reasons. Peter Rutland, the Colin and Nancy Campbell Professor in Global Issues and Democratic Thought, is the author of an article, “Imagining Russia post-Putin” published by The Conversation. The article appeared in Raw Story, Houston Chronicle and San Francisco Chronicle, among other publications. Rutland writes that Vladamir Putin is almost sure to win re-election as president of Russia in the March 2018 election. The Russian Constitution requires him to step down after two consecutive terms, a problem Putin solved in 2008 when he moved sideways to prime minister as his protege took over as president. Putin returned to the presidency in 2012. Sasha Rudensky ’01, assistant professor of art, assistant professor of Russian, East European, and Eurasian studies, is a finalist for the New East Photo Prize. Her photos, Tinsel and Blue, explore the relationship between illusion and truth and the young people of the post-Soviet generation. Rudensky shot the photo series between 2009 and 2015 in Russia and Ukraine. The inaugural New East Photo Prize is sponsored by the Calvert 22 Foundation supported by The Calvert Journal. According to the Calvert 22 Foundation, “the Prize champions contemporary perspectives on the people and countries of the New East (Eastern Europe, the Balkans, Russia and Central Asia).” The initiative received a total of 1,030 entries form 25 countries. 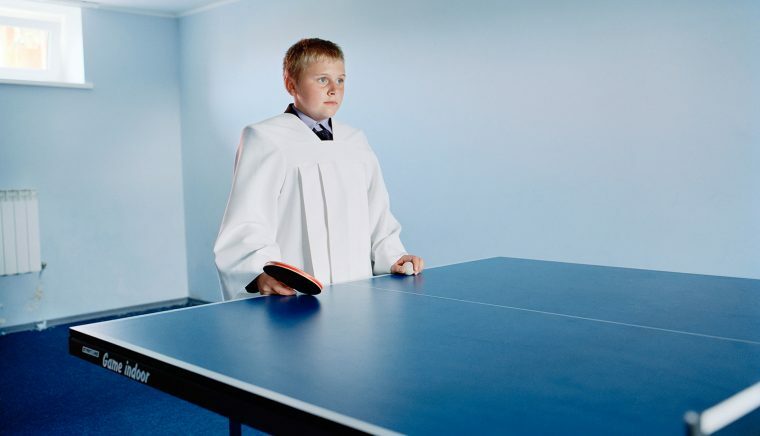 Rudensky’s photo will be included in an exhibition at Calvert 22 Foundation in London from Nov. 4 to Dec. 18. The winner of the prize, which will be announced on Dec. 1, will have his or her work published as a photo book. Praise Owoyemi ’18 has been chosen for the prestigious Critical Language Scholarship (CLS) to study Russian in Vladimir, Russia this summer. The Critical Language Scholarship (CLS) Program is a fully funded summer overseas language and cultural immersion program under the U.S. Department of State, which American undergraduate and graduate students have the opportunity to apply for. CLS is dedicated to broadening the base of Americans studying and mastering critical languages, as well as building relationships between the people of the United States and other countries. CLS provides opportunities to a diverse range of students from across the United States at every level of language learning. Owoyemi started studying Russian when she arrived at Wesleyan. Despite many comments she received from peers on the difficulty of the language, she challenged herself and found it was an incredibly exciting language to study. 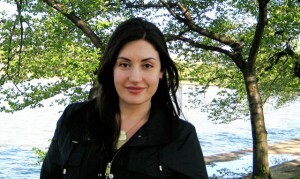 She decided to apply for the CLS program because she felt that “being immersed in a Russin speaking environment would improve her Russian speaking and comprehension skills.” She hopes to expand upon all she already knows, through both formal, classroom instruction and informal, day-to-day experiences. “I was really surprised when I found out I had been selected as a recipient for the program, but I am incredibly excited to experience Russian culture. I’m also really excited to stay with a host family because that will help me to interact with others in the language and not just revert back to English,” she said. 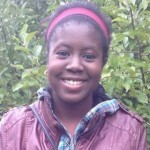 Owoyemi is double majoring in psychology and Russian, East European, and Eurasian studies. She enjoys studying Russian literature.